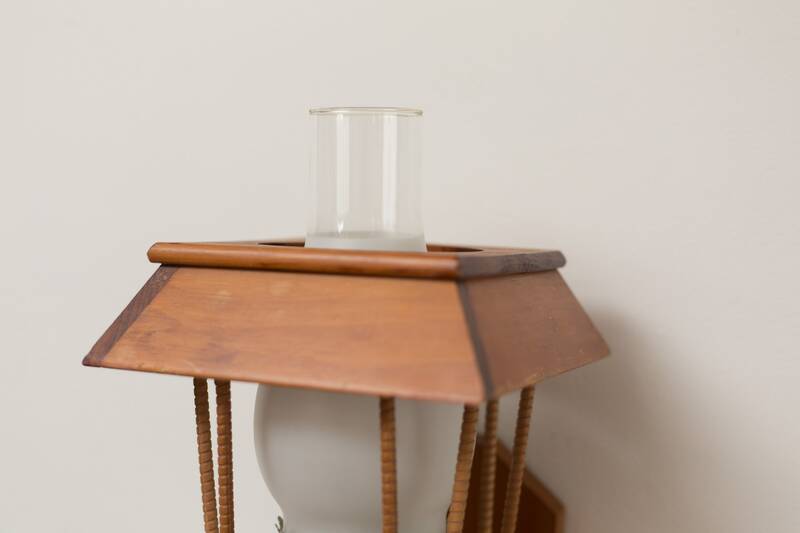 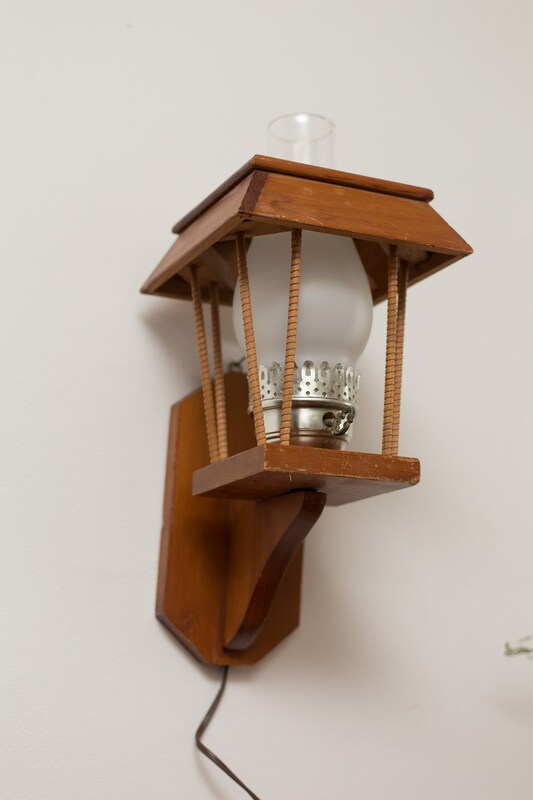 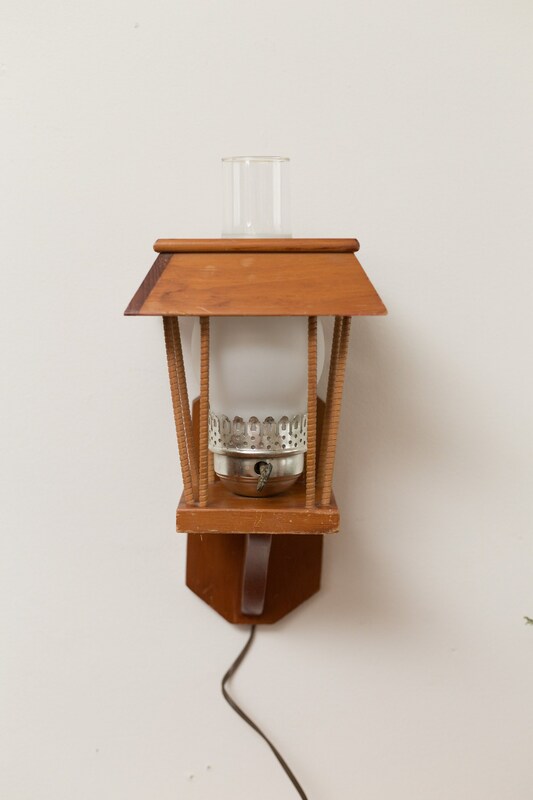 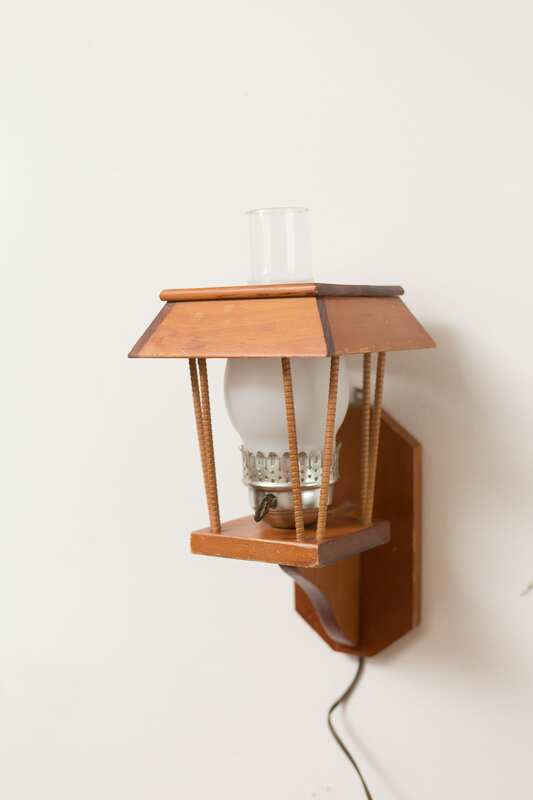 This is a great vintage wood wall lamp with a glass chimney. 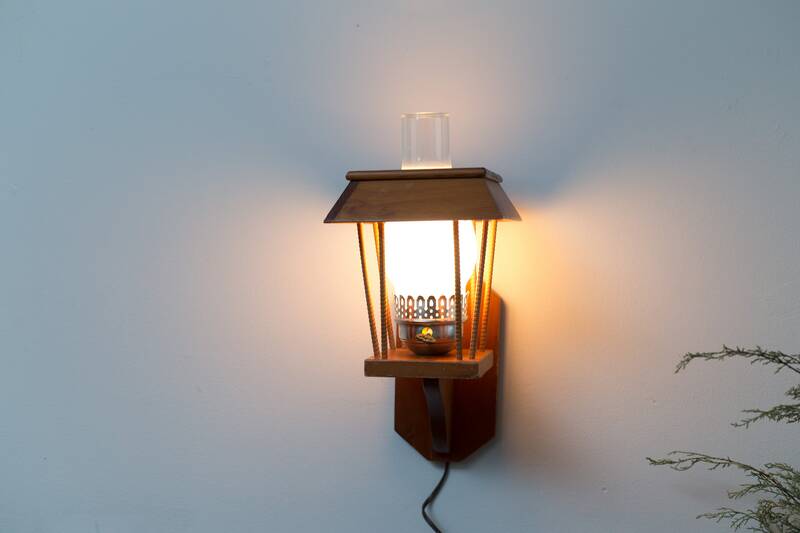 It has an oil lamp feel. 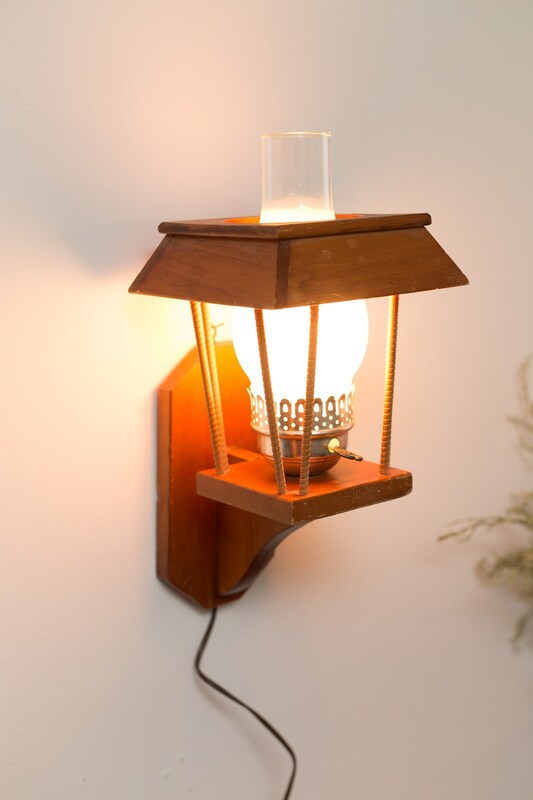 Hangs from the wall with a nail. 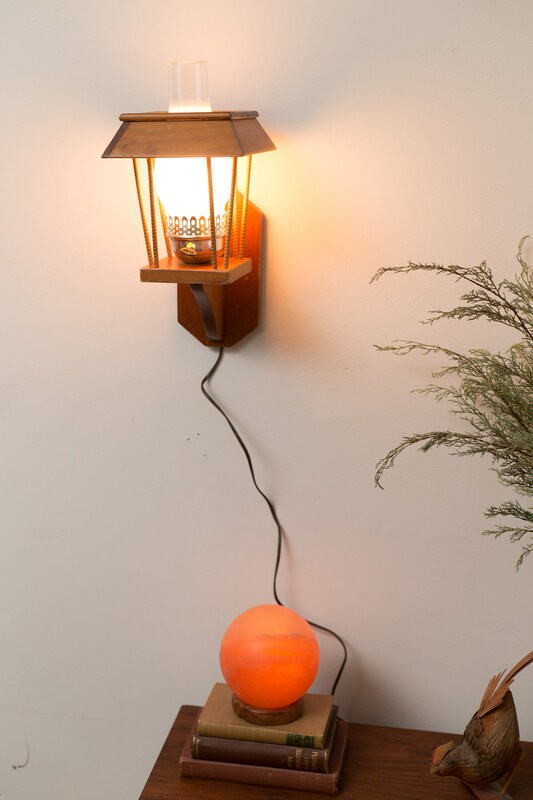 Takes a standard bulb size. 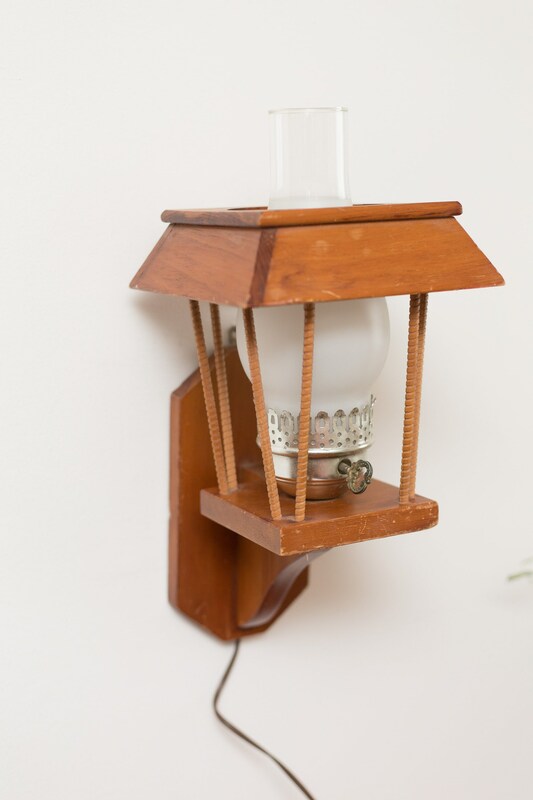 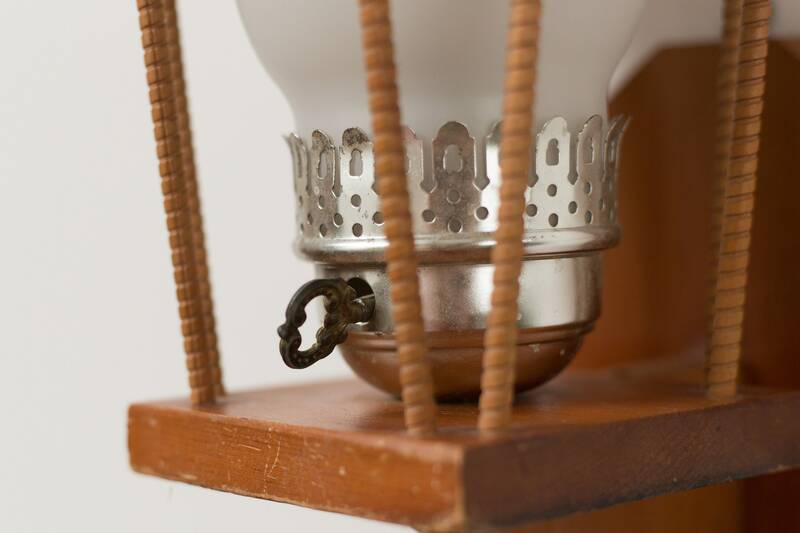 Bulb Base: E26/Medium (Standard).